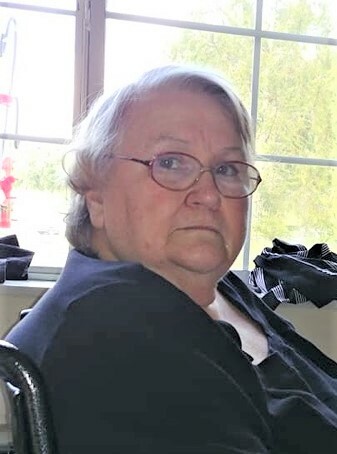 Judy G. Marcum age 72 of Rose Hill, VA was born Wednesday, July 31, 1946 in Rose Hill and passed away Friday, October 19, 2018 at the Mountain View Nursing Home in Pineville, KY. She was preceded in death by one daughter Libby Marcum, one son Jerry Lee Ray, her mother and father Roy and Helen (Haley) Ray. Judy is survived by one daughter Peggy Marcum and fiance, Mark Garnett of Rose Hill, VA, granddaughter Marquetta Garnett and wife, Morganne of Rose Hill, VA, expecting great-granddaughter Mikenlee Garnett, grandson Gregory Marcum and lifelong friend Cindy Scott. Visitation will be from 5:00 until 7:00 PM Tuesday. A graveside service will be held at 12:00 noon Wednesday at the Garnett-Marcum Cemetery in Rose Hill, VA on Giles Hollow Rd. with Rev. Richard Long officiating. Family and friends are asked to meet at the cemetery at 11:45 AM Wednesday. Memorial and condolences can be sent to the family by visiting www.provincefuneralhome.com We are located at 29521 Wilderness Rd. Jonesville, VA 24263. Phone 276-346-3553 Province Funeral Homes are honored to be serving the family of Judy G. Marcum.